Conditions - Can You Compute? In this lesson you will look at Algorithms and how they can be used to represent the structure of a program. 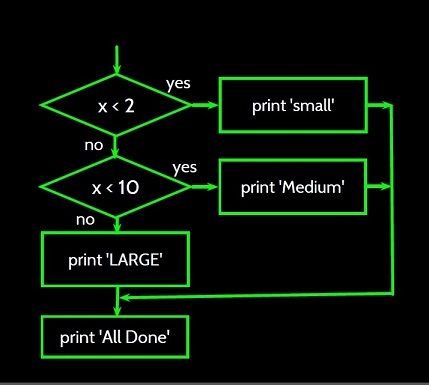 You will also work backwards and create an algorithmic diagram for a given program. 1. Starter: Load Python and create a program that asks the user for two numbers and then subtracts the first number and prints the answer. 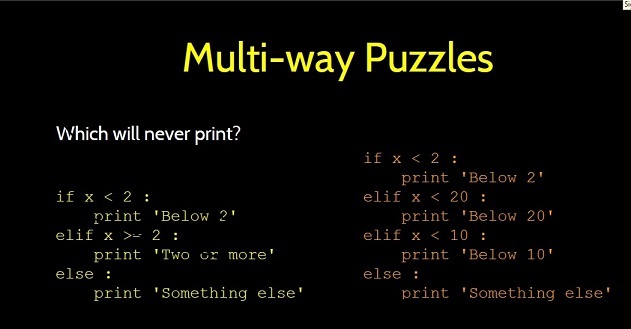 Look at the Python code on the right,can you work out what is does? 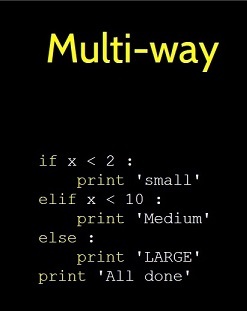 Try it in IDLE, did it do what you thought it would? 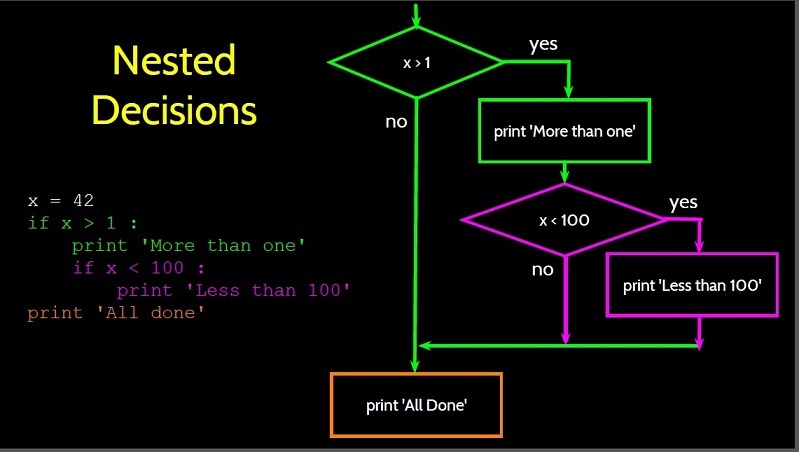 Now create a algorithm diagram which represents the code. Check your answer when you are finished. 4. 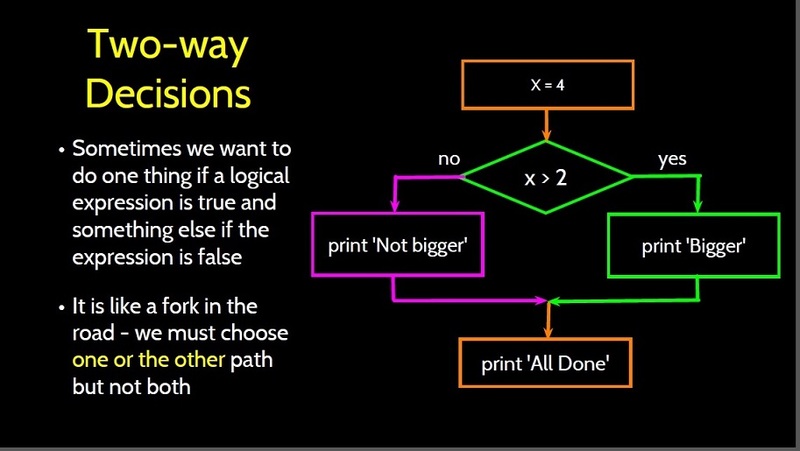 Now let's do the reverse - look at the algorithm diagram on the right, can you work out what it does? Can you solve it? Check with someone else. 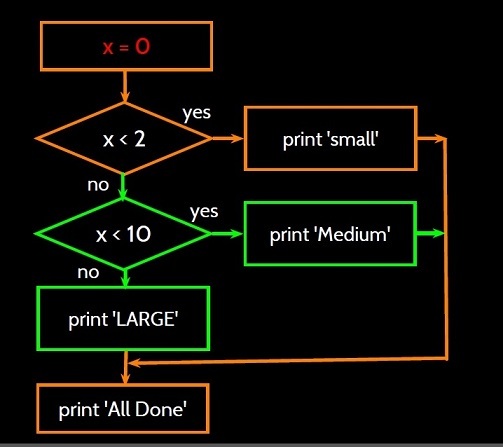 Now create the program in Python - the answer is opposite, only check when complete. 5. Which one of these codes will never print and why? Look at the two programs in the first image, what do they do? One will never finish and execute the final print statement - which one and why. 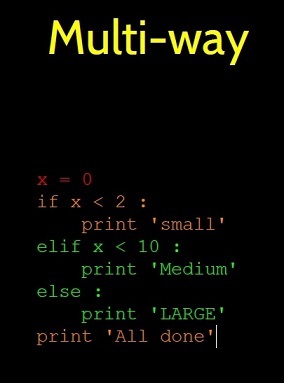 Try them out in Python, are you correct?